--Approximately $9.4 million LGLP revenue bonds, series 2014H-2 (taxable). The Rating Outlook is Stable. The bonds are limited obligations of MFA payable only from pledged revenues, notably statewide liquor and certain hotel and cigarette taxes statutorily distributed to the Detroit Regional Convention Facility Authority (DRCFA) and pledged first for repayment of DRCFA obligations. Pledged revenues are subject to annual state appropriation. The rating upgrade reflects the application of Fitch's revised criteria for U.S. state and local government credits, released on April 18, 2016. The revised criteria include more focused consideration of the dedicated taxes pledged to the bonds and introduce scenario analysis to the consideration of the resilience of the security through downturns. 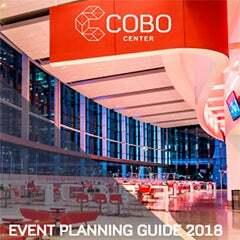 DEDICATED TAX PLEDGE: The 'AA-' rating is based on a gross pledge and lien on statewide and regional taxes levied to support Cobo Center, Detroit's convention facility. The taxes are collected in the state convention facility development fund (CFDF) and transferred directly by the state treasurer to the trustee for bond repayment. Payment to bondholders is subject to annual state legislative appropriation, capping the rating on the bonds at a level one notch off the state's 'AA' Issuer Default Rating (IDR). MODERATE GROWTH PROSPECTS: Fitch views the three pledged taxes as narrow and discretionary. They include a portion of a statewide liquor tax, a state-imposed regional accommodations tax, and a fixed transfer from statewide cigarette taxes deposited to the convention facilities development fund (CFDF). Aggregate growth prospects over time are likely to be moderate based on expectations for the Michigan economy and the nature of the taxes. AMPLE CUSHION AT CURRENT LEVERAGE: Pledged revenues provide ample cushion against economic sensitivity under current leverage assumptions, including under a moderate economic downturn scenario. No future borrowing is authorized at present given a statutory cap that has been reached. 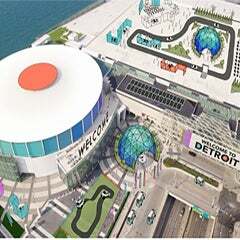 NO DIRECT EXPOSURE TO FACILITY OR CITY: Proceeds supported capital renovation and expansion at Detroit's convention center, but bondholder repayment is not linked to convention center operations nor to the continued operation of the DRCFA, which manages the center. 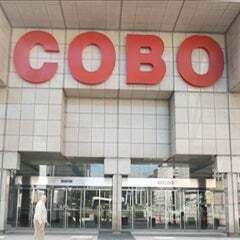 Cobo Center and the DRCFA are legally separate from the City of Detroit and were not affected by the city's bankruptcy proceedings. DEBT SERVICE COVERAGE; STATE IDR: An upgrade of the state's IDR could result in an upgrade of the bonds; the bonds would be downgraded with any deterioration in the state IDR. In addition, a material reduction in expectations for pledged revenue performance could result in a downgrade. The 'AA-' rating is based on the security provided by the gross lien on dedicated revenues, subject only to annual state legislative appropriations. Strengths of the dedicated tax pledge include the statewide nature of the levies, the statutory authorization for the gross lien by the State of Michigan and the distribution of receipts by the state directly to the trustee; pledged revenues are not derived from operations of Cobo Center or DRCFA itself. The requirement for appropriation caps the rating on the bonds at a level one notch below the state's 'AA' IDR. to the health and safety fund. Collections in fiscal 2016 totaled $92.1 million of which 27% was derived from accommodations tax, 57% from liquor tax, and 16% from the cigarette tax transfer. The state reserves the right to adjust the taxes, although the rates have not been changed since they were first established, in the 1980s. Authorization for the borrowing includes statutory non- impairment language. Under state statute, the treasurer distributes first any amount needed on a monthly basis from the CFDF for DRCFA borrowing, and then for a statutorily-fixed operating subsidy for DRCFA, scheduled to sunset in fiscal 2023. As authorized in statute, bond documents provide for the treasurer to distribute funds for debt service directly to the trustee. Remaining CFDF revenues after meeting statutory obligations are distributed back to Michigan counties. Pledged tax collection trends reflect broad economic activity statewide. Historical growth in aggregate pledged taxes has been moderate over time, and Fitch expects this trend to continue, which is consistent with its view of overall growth prospects for Michigan's economy. Drivers of collections for the individual pledged taxes vary. Liquor consumption has exhibited steady growth over time, and Fitch expects future growth to approximate past experience, although shifting consumer tastes represent a long-term risk for levies of this nature. Accommodations tax on Detroit regional hotel activity is influenced by the price, supply of and demand for hotel stays in the region, which itself is tied to the metro area's economic performance generally, as well as to success at attracting and maintaining convention activity, one key driver of hotel demand. exhibiting very stable collections while accommodations tax shows significant volatility over time. Despite the latter, the overall pledged tax collections have remained largely stable and in Fitch's view provide ample coverage to protect against future economic sensitivity, including under the moderate economic downturn scenario applied under Fitch's criteria. Fitch assumes no additional leverage of the dedicated taxes, but resilience remains very strong even with issuance up to the ABT maximum. A two-pronged additional bonds test requires that prior-year pledged receipts in aggregate must cover debt service by 2.5x, and that prior-year liquor tax alone must cover debt service by 1.25x. However, current Michigan statute limits borrowing for convention renovation and expansion to $299 million, exclusive of the costs of borrowing; under this provision, no additional new money borrowing is possible. To evaluate the sensitivity of the dedicated revenues to cyclical decline, Fitch considers both revenue sensitivity results (using a 1% decline in national GDP scenario) and the largest consecutive historical decline over the period covered by the analysis. Based on a 15-year pledged revenue history, Fitch's analytical sensitivity tool (FAST) generates a 1% recession scenario decline in pledged revenues. The largest consecutive historical decline was 4.6%, during the fiscal 2008-2010 period. At the current level of borrowing, dedicated revenues could withstand a 77% decline while maintaining sum sufficient coverage of debt service. This decline is equivalent to 77x the FAST scenario decline and nearly 17x the largest consecutive historical decline, an exceptional level of resilience. At the ABT level, the structure could withstand a still very strong 60% decline. Michigan has a long track record of involvement with Cobo Center and has been active in its ongoing turnaround. The statewide liquor and regional accommodations taxes have been levied and deposited to the CFDF since 1986. State statute established the DRCFA in 2008, which assumed control of Cobo Center from the City of Detroit in September 2009, the beginning of a sustained effort by the state, the City of Detroit, and surrounding counties to renovate and expand the facility. The DRCFA has continued to log notable successes since then, completing the planned expansion and renovation of Cobo Center and attracting more shows over time.